Queen’s native Vinnie fell in love with music when he began singing in church at the age of 8, and he fell in love with the guitar at the moment he first heard “Purple Haze” by Jimi Hendrix being played on the radio. Vinnie studied voice, theory and the performing arts at Queens College. He was one of the original teachers at Queens Guitar School, first starting with us in 2009. His joy and focus is inspiring others in the love of music and the guitar. He treats each student uniquely, developing their strengths through their challenges with joy, love and patience. Vinnie also brings his experiences of songwriting, performing arts, dance and the journey of self discovery to each lesson. Absolute Beginners are most welcome. He works with students of all ages, from the very young (6 years old) through retirement. 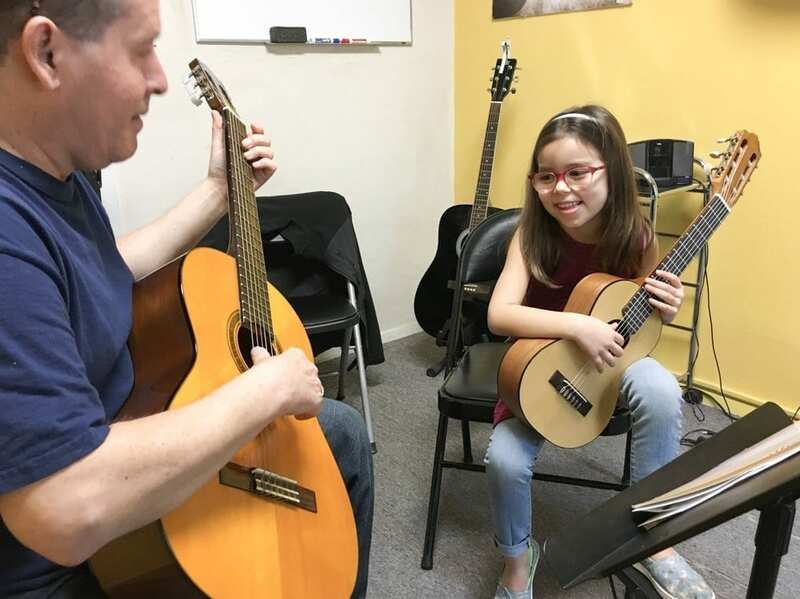 Vinnie is a warm, patient and inspiring teacher who specializes in helping beginners get off to a strong and fun start with the guitar, and we are delighted that he is teaching for New York City Guitar School. In his own words, “I love what I do and what the guitar and music has to offer”.